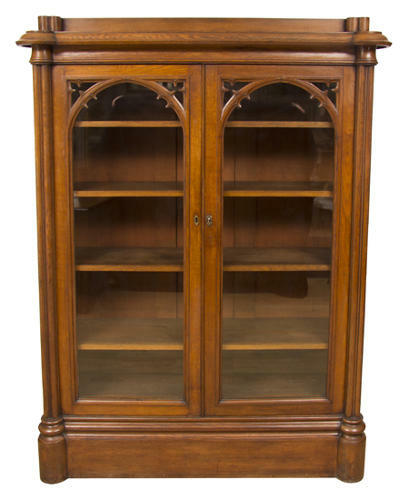 A Gothic Oak Bookcase in the Pugin style. We have washed off and polished this as it has a fine patina. We made a key for the lock and everything works perfectly. A very stylish,practical, good looking piece.